Unlike the physical world where objective measurements can be carried out in ways that are sufficiently reliable and valid, the vital world being non-material represents a different denouement where distances lack the rigidity of objective measurements. Any movement in the vital world is subjective to our external senses though it might be objective to our inner or subtle senses and therefore cannot be executed with the immediacy with which we associate physical movements. In the absence of sensory cues, any movement in the vital world needs the full involvement of the 'will'. Needless to say, whatever happens in the vital world has its ripple effects in the corresponding physical world. dream by exercising an indefatigable will during the dream itself, the will-power can be replicated at the level of physical reality too. Actually, certain vital worlds like the dream-world act as sort of barometric reality in life. If one can exercise one’s will to conquer a certain attitude of greed, lust or anger in a dream, one can replicate that victory in outer life with greater confidence. Another sphere of vital communication which demonstrates the power and relevance of the ‘will’ in the vital world is when one wants to help someone in distress who may be located at a physical distance either by ‘distant healing’ or through consolidated aspiration, prayer, goodwill or by the activation of subtle, occult forces. One of the most important vital worlds that we explore today is the zone of cyberspace or virtual reality. It is a dynamic space where a susceptible subject can get swallowed up by giant universal forces. One can become powerless in the hands of giant vital forces. Such universal forces can drive seemingly innocuous though susceptible subjects to frenzy; compel them to commit the most outrageous acts that range from cybercrimes, deviancy, perversions, fanaticism and terrorism to suicidal and homicidal behaviours. (b)	An inflated sense of omnipotence as one can feel powerful enough to play God as if to control Time and its machinations. Such false sense of self-aggrandizement carries its own nemesis. 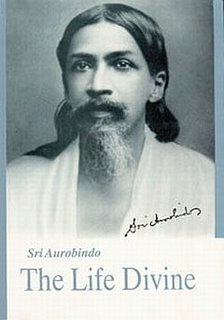 Not having acquired the mastery of the vital worlds which is actually a yogic endeavour, one gets access to universal vital forces under whose influence, suicides and homicides become child’s plays. Space and Time change their connotations in the virtual reality to become dangerously accessible to unprepared human nature not trained to face such onslaught. However, if an individual has a disciplined and strong vital nature coupled with vision and clarity in thought and if the surface personality can be brought under the control of the inner realms of the being, then such an individual with an unflinching will can undertake a meaningful adventure in virtual space.